One of the concerns with embracing the Aistear framework for play is the amount of time that needs to be sacrificed from other subjects in order to allow long blocks of structured play. While this is an undeniable struggle, it is reassuring to know how many curriculum objectives are being fulfilled within that time slot. To that end, I try to list the curricular strand units/ specific objectives that are most pertinent to the current activity within my Aistear fortnightly plans. 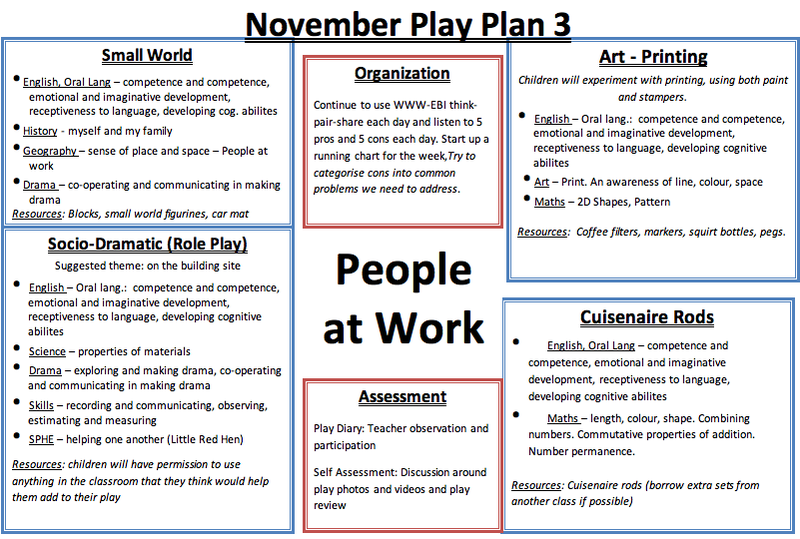 Taking this into consideration when preparing my plans also helps to direct my interactions with the children as they play, as I am more mindful of what each play area is aiming to achieve. This entry was posted in Uncategorized and tagged Aistear, Planning. Bookmark the permalink. Your aistear plans are great! By any chance would you be able to email me your plans for the other months? 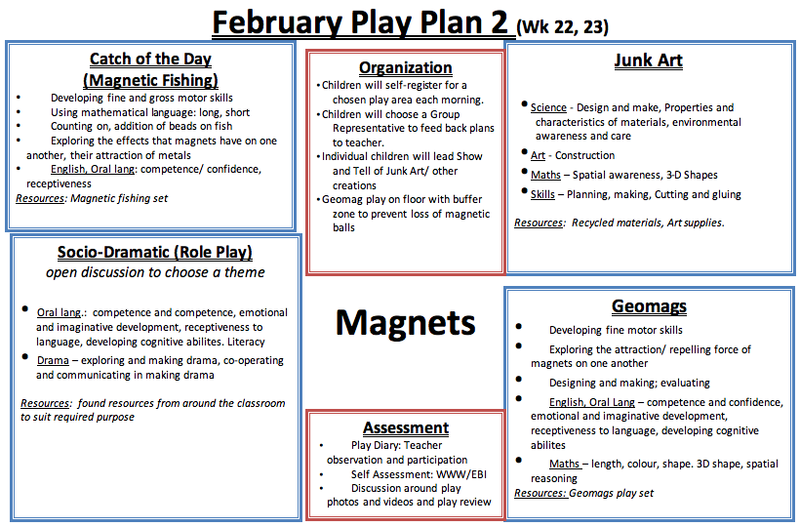 My school is starting to introduce aistear and I am completing the second half of my dip, feeling quite unsure about the whole area of planning. It would be greatly appreciated. Thanks! I’m actually back in SI myself this year and can’t find old plans anywhere! Gah! Sorry.